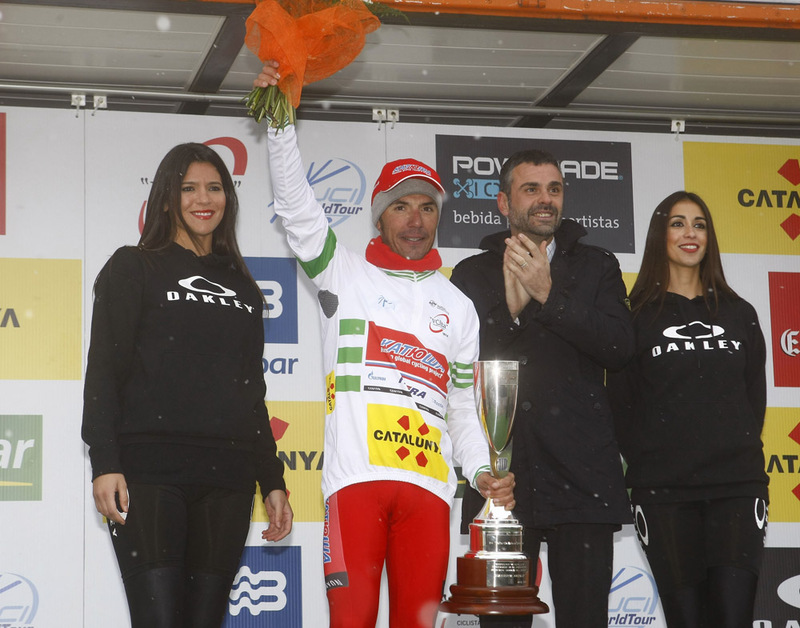 Tejay van Garderen (BMC Racing) claimed stage four of the 2014 Volta a Catalunya on Thursday, conquering the race’s queen stage at Vallter 2000 in misty, freezing conditions. It’s van Garderen’s first victory of the 2014 season, and the American can be rightly satisfied to have beaten Grand Tour rivals Alberto Contador (Tinkoff-Saxo), Joaquim Rodriguez (Katusha), Nairo Quintana (Movistar) and Chris Froome (Sky) in one of the year’s first big mountain tests. Van Garderen out-paced fellow escapee Romain Bardet (Ag2r) to take the victory, with Contador coming home in third. British hope Chris Froome finished in seventh. Rodriguez’s fourth spot was enough for him to hang on to the overall race lead ahead of Contador by a slim four-second advantage. Van Garderen moves up to third overall whilst Froome drops a place to sixth, 17 seconds behind Rodriguez. The race concludes on Sunday, March 30, with few opportunities left for the other contenders to overhaul Rodriguez’s lead overall.